BCI2000 is a general-purpose software system for brain-computer interface (BCI) research. BCI2000 includes software tools that can acquire and process data, present stimuli and feedback, and manage interaction with outside devices such as robotic arms. BCI2000 is a real-time system that can synchronize EEG and other signals with a wide variety of biosignals and input devices such as mice or eye-trackers. It has several modules to manage data importing and exporting in common file formats. BCI2000 operates on most Windows system, and the source code can be complied on Borland C++ Builder 6.0, VisualStudio, and other platforms. The BCI2000 infrastructure includes extensive support, including online documentation with a wiki and a BCI2000 forum with over 6000 posts. For more information, or to download BCI2000, click on the links or our BCI2000 graphic below. This new graphic shows how BCI2000 can help with different software needs for BCIs and other types of AN. The signal acquisition and output device hardware needs software that can manage the information that goes in to the system and comes out of it. BCI2000 can do this, and can also provide signal processing software and an overall operating system that keeps the different components of BCI2000 working together smoothly. The BCI2000 platform has been widely used in BCI research and related work. Over 3,000 groups have downloaded it, and it has been used in over 1000 peer-reviewed publications. 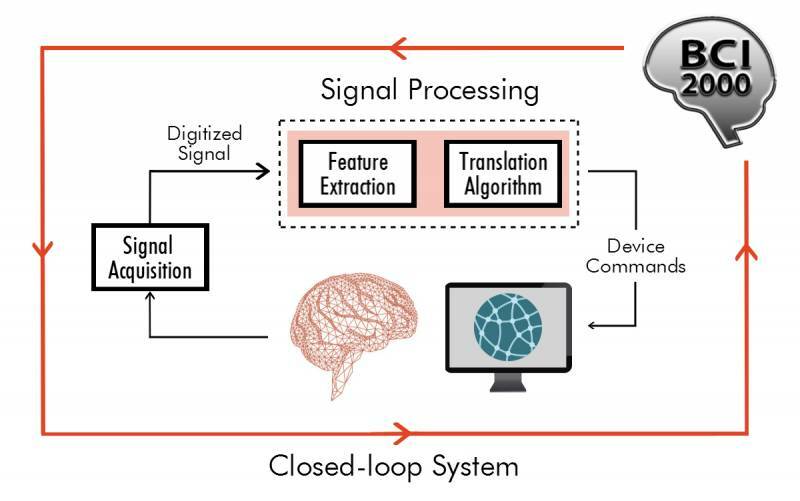 Thus, we are moving toward our vision of guiding BCI2000 toward a commonly used platform for not just BCIs but a myriad of other real-time signal processing platforms.